I have a Mikrotik RB2011 establishing a connection using PPPoE (via a Draytek Vigor 130 in full bridge mode, ADSL2+ link). Now that Snap offer static IPv6 addresses I thought I would give it a go and have been assigned my static block. However, I can't seem to get past the first step of receiving a reply from the IPv6 DHCP server and am curious if anyone has Snap and IPv6 working with a Mikrotik router and could share their relevant config? Config and details below. Thanks. Snap gives you a /56 prefix when you have a static address. I am not familiar with Mikrotiks, but "pool-prefix-length=64" seems wrong - try changing it to "pool-prefix-length=56". fe31nz: Snap gives you a /56 prefix when you have a static address. I am not familiar with Mikrotiks, but "pool-prefix-length=64" seems wrong - try changing it to "pool-prefix-length=56". "Prefix length parameter that will be set for IPv6 pool in which received IPv6 prefix is added. Prefix length must be greater than the length of received prefix, otherwise prefix-length will be set to received prefix length + 8 bits." So Mikrotik & Snap IPv6 definitely can work but for some reason not working over my Draytek PPPoE bridge. I'll need to determine if due to the Draytek Vigor 130, the ADSL2+ connection (I am rural and on a RBI-upgraded exchange), or something wrong with my Snap account configuration. Have you checked that IPv6 packets are being received at all with the bridge? You should see the router advertisements at the very least - nothing will work if you do not see them. Are you blocking UDP port 546? that will break DHCPv6. MattR: Are you blocking UDP port 546? that will break DHCPv6. 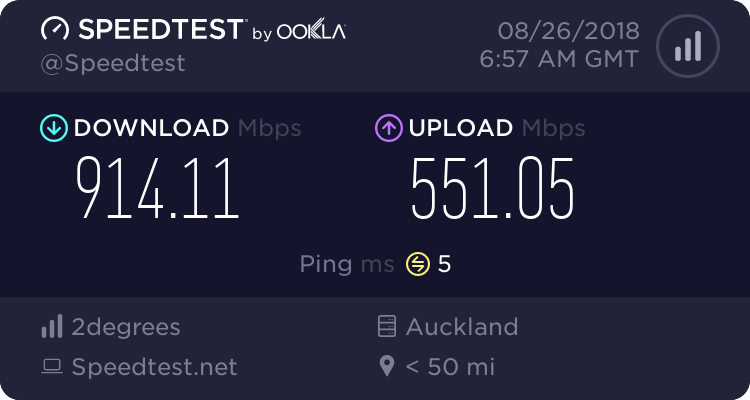 Not blocking UDP port 546 (and config works on two other Snap connections, one UFB other VDSL). Today I ran a packet sniffer and filtering for MAC protocol 86dd (IPv6) over the pppoe-snap interface I don't see any incoming IPv6 (both when a Draytek Vigor 130 and Draytek Vigor 120 are used for the PPPoA to PPPoE bridge; IPv6 should be passed over the bridge without issue). I also setup the Vigor 130 as a router with a DHCPv6 client and not a single IPv6 packet received. I'm getting suspicious IPv6 is being dropped somewhere and will try a Frtitzbox - I expect that won't work with IPv6 either. Yeah sounds like your modem is the problem. I'm running mine on VDSL with a ZyXel P-870H-51A V2, and also on UFB. I hooked up a Fritzbox 7340 and no IPv6 either. Fritzbox log shows "Could not establish IPv6 Internet connection: No response from DHCPv6 server (SOL)." 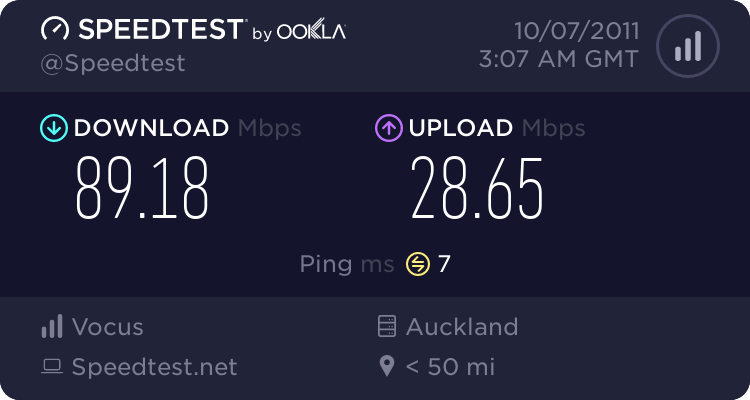 So no IPv6 on my ADSL2+ connection. I will see if Snap can sort it out. I've just got the Mikrotik hAP LITE plugged into a Draytek Vigor 2710 in full bridge (PPP pass thru) mode. Was really painless to get working for IPv4 and PPPoE but now I'm looking to setup IPv6. Could I ask for a brief set of steps to get this working? I had IPv6 at another location on Unleash VDSL2 and I think I enabled one setting through the Mikrotik UI and it just worked so never looked into it further. Just tested and this has been fixed on the exchange I'm connected to. I worked around the bug by using VPI/VCI 0/110 VLAN 10 and 1483 Bridged IP LLC. This is a better config anyway as then supports PPPoE directly and no need for the PPPoE to PPPoA bridge. I wonder if this affected PFsense config's also.. I had nothing but issue after issue with IPv6 - When it was "working" many websites would time out and refuse to load at all. bonkas: I wonder if this affected PFsense config's also.. I had nothing but issue after issue with IPv6 - When it was "working" many websites would time out and refuse to load at all. Your symptoms are exactly those of an MTU problem. IPv6 does not automatically fragment packets, but relies on Path MTU discovery to set the MTU for each connection. Packets that are too long are dropped. For Path MTU Discovery to work, all the routers involved must allow certain ICMPv6 packets, so that notice of packets dropped for being too long gets back to the source of those packets. When the connection is via PPPoE, this can cause MTU problems that are not detectable by Path MTU Discovery. This is due to the overhead bytes used for the PPPoE connection reducing the maximum MTU available, but the router doing that not sending the appropriate ICMPv6 packets when it sees oversize packets being sent over PPPoE. It is a common problem. Initially, on my fibre connection, I had to have my router (Ubiquiti EdgeRouter Lite) set to send a smaller MTU value in its RA (Router Advertisment) packets, so my IPv6 connections worked properly despite the PPPoE problems. Later, Snap seems to have changed the router I was connected to for a Juniper one that does PPPoE better and it allowed me to use the overcommitted bandwidth that Chorus provides. I was able to configure the PPPoE connetion for the full 1500 bytes of a normal Ethernet connection and that fixed all the MTU problems. Not all routers will allow you to use larger packets with PPPoE, but I think the FritzBoxes do it automatically if the router they are connected to allows it. Hopefully, your router will allow 1500 byte packets over PPPoE if you configure it right and that should solve your IPv6 problems. If not, try forcing the use of a reduced MTU in the RA packets. zenourn: I worked around the bug by using VPI/VCI 0/110 VLAN 10 and 1483 Bridged IP LLC. This is a better config anyway as then supports PPPoE directly and no need for the PPPoE to PPPoA bridge. Wait can we use IPoE / 1483 Bridged IP LLC now if on Chorus equipment on any ISP or only on ISP's supporting it? I'm no expert on this, but I think EUBA is the primary requirement, which is the case for most connections these days (although BUBA is still around due to Conklin's, etc).